A brilliantly conceived Thanks Giving Day menu board. The bright multi-colors present vibrancy and dynamism. 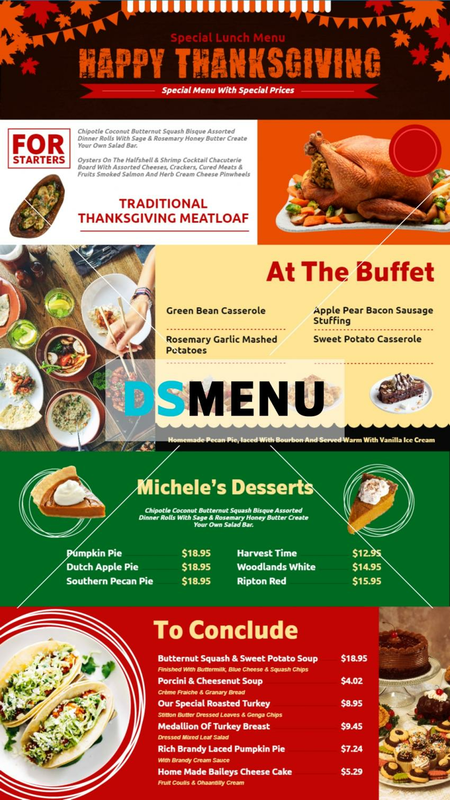 The buffet menu and desserts are well depicted with graphics and content. On a digital signage screen the impact will certainly entice the target audience. This menu board provides a model for your actual menu board and is ready for download and use.